This should really be in a separate thread. I'll be testing Designer a lot more after the holidays. I've just been so busy with moving, but so far, I love the update. What happened Matt with your typing? I hope you don't need a new keyboard to complete your changelog listing. I get the impression something REALLY BIG is about to be unleashed. Times have changed... small is the new big. I ended up getting tantalisingly close to finishing, but didn’t quite make it before Christmas, so rather than rush out a version without my changes that I’d not had chance to look at properly I didn’t bother - I’m still typing my new thing (doing it this evening, just waiting for it to build for me at the moment) so I’m working on hard on getting it finished.... Hope everyone had a great Christmas - looking forward to next year being a big one!!! Great work on the 1.7 version! lots of nice additions! What about all this features from roadmap? The current roadmap is the 1.x roadmap, covering all ‘point’ releases (i.e. 1.7, 1.8, etc) for version 1. Any features on that list should be included in a free update before version 2.0 is released, so some of them probably won’t be added for at least another year. I wish I could paint up to the bleed limit, but my pixel brush strokes stop at the document’s edge. This, I find, defeats the purpose of a bleed. Of course I can still move or scale my artwork to make it bleed, but it’s not ideal. Unless there’s a trick? I was expecting more vector brush fidelity in the new version. The vector brush re-interprets my strokes too much; I don’t see any improvement over the current version. This is on my highly-desired-features wishlist! Please note that the pixel brushes, on the other hand, are perfect. Thanks for the pencil’s sculpt mode, a great feature! It would be great to make it available to the brush tool too. To use it on brush strokes, I need to change tools temporarily, which is not very productive… but it works. Sounds like you have View > View Mode > Clip to Canvas enabled. If you disable it you can paint outside the main canvas area and into (or beyond) the bleed area. (I'm not sure it should be necessary to disable that option, as I think it would work better if the definition of "Canvas" for clipping purposes included the bleed area. Thanks Walt, so there is a trick! However, I disabled it and tried a stroke that bleeds—it still stops at the document’s edge. On or off, I see no difference. Anything I’m doing wrong? (I’m assuming “Attacher au canevas” is the option you’re talking about on my French version!) Thanks for your help! However, I disabled it and tried a stroke that bleeds—it still stops at the document’s edge. On or off, I see no difference. Anything I’m doing wrong? No, I think there may be a bug. The vector brushes (which I had tested) will paint outside the canvas with "Clip to Canvas" off, but the pixel brushes won't. You might want to start a new topic about that, so it doesn't get lost as easily. Thanks Walt. I’ll report it. By the way, I tried this option with vector brushes. 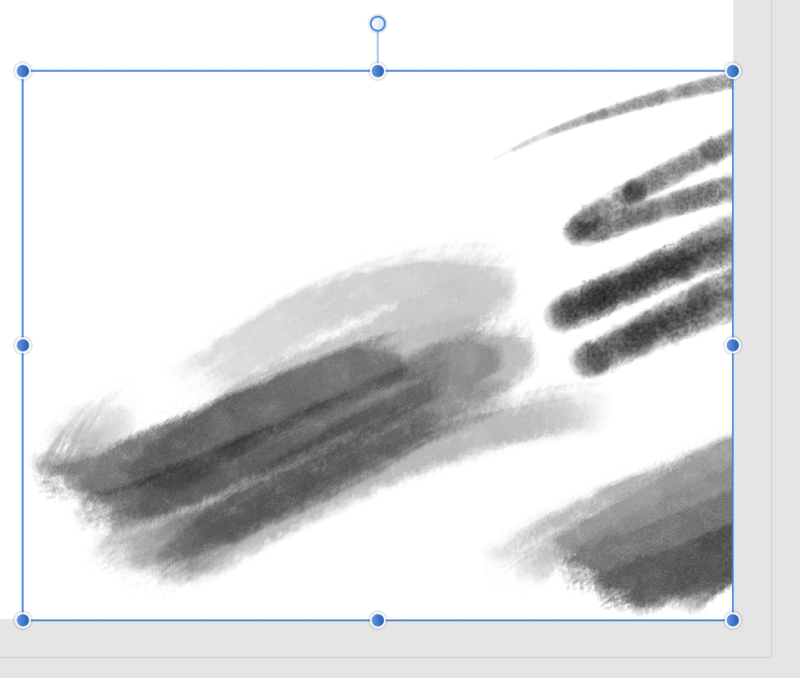 In fact the vector brushes will always draw on the pasteboard, no matter how you set up that option. The vector brushes are limited to the canvas for me, if Clip to Canvas is selected. They are not in the Mac customer beta or in the 1.6 version either. Thanks everyone. Seems like Affinity should get their act together around this bleed thing and make it work cross-platform. Can you be more specific please? What's failing/what were you expecting? What exactly do you mean by "symmetry widget"? From your screen recording, it looks like you have enabled the Move Tool's "Show Alignment Handles" option, which allows you to drag the selected object by one of those handles to move it around, including to snap its center or edges to some other object, like the dashed line you are calling the symmetry axis. The (Show) Alignment Angles controls are just for aligning objects or nodes. They aren't intended to mirror objects along an axis. I thought you were talking about the Symmetry option (context toolbar) for the Brush Tools (in Affinity Designer Pixel Persona and Affinity Photo Photo Persona). The (Show) Alignment Angles controls, is pretty cool. I can see where this can be very useful. Combine this and hide selection when dragging can increase your control in certain situations. 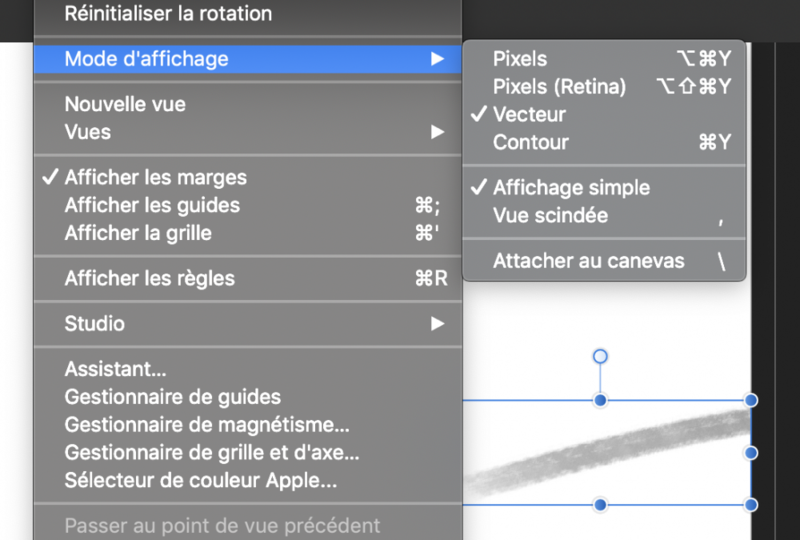 You added a icon for rotation center, do the same for symmetry please. Here's a video : symmetry with MOI3D. So simple and powerful. MacOS 10.14.3 support on Dark Mode. Don't forget about dark mode on popmenu font do not make too white.